In nursing home and community scenarios, comfortable mattresses and bedding must be used to maximise quality of life, even when pressure care and profiling mattresses are not needed. The Harvest Divan Nursing Home Mattress is purpose-built for this need, designed to be an affordable, comfortable option for those in need of a non-profiling mattress. The Divan Mattress is designed for use with the Harvest Divan Bed and Headboard (each sold separately). This mattress has no pressure relieving properties and is not suitable for use with a profiling bed. This mattress has been designed for affordable comfort, and so while it doesn't have the intense pressure-relieving qualities of the rest of Harvest's mattresses, it still is more than comfortable enough for the average sleeper. With 3-inch 13.5 gauge springs, it is responsive to weight and will support the user evenly and reliably, creating a pleasant sleeping experience. The interior also includes a soft foam, adding to the comfort of the mattress and providing incredible quality for such a low price point. On top of this mattress' soft, woven cotton material is a durable and waterproof PVC coating. This coating allows the mattress to breathe and prevent the user from overheating, while protecting it from any spills or fluids. The breathability of this coating is crucial for the foam inside, as it allows it to last longer, regaining its shape use after use. 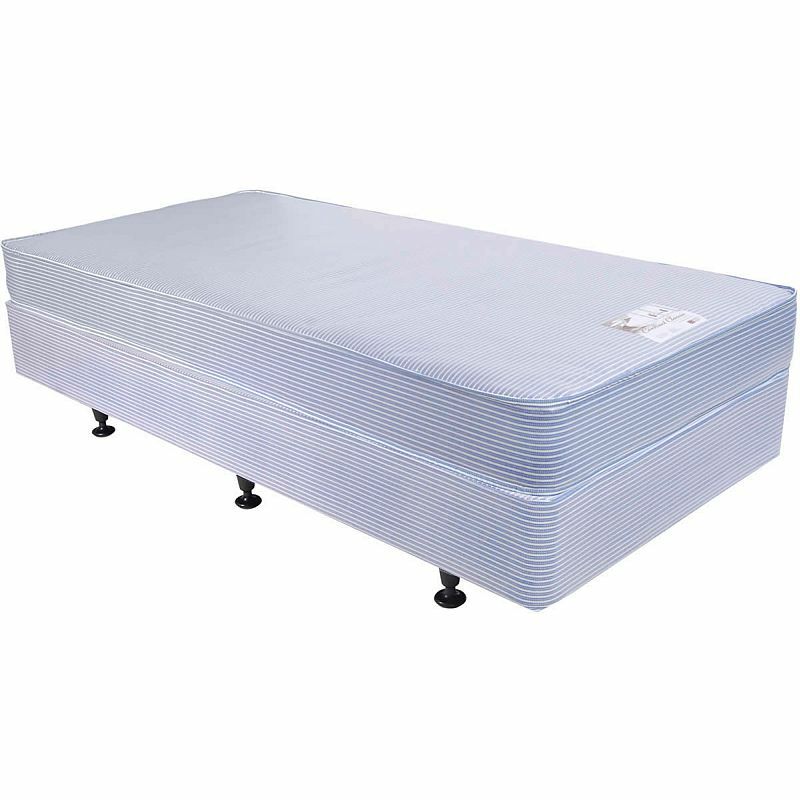 Please note: The image above shows the mattress on a base board and legs, while the mattress sold on this page is supplied on its own.